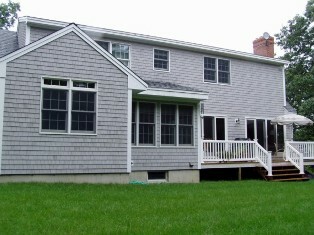 Image of home before four-season room and deck addition. 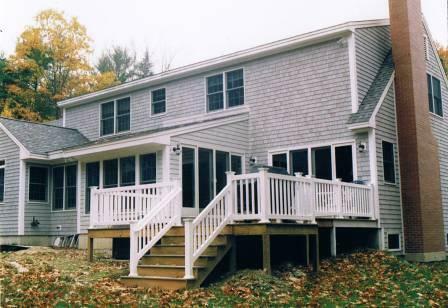 Loridan Construction will build your new addition from frame to finish. We start the process with listening to you and identifying the requirements for your new space; then we'll work with you or your architect on design and construction specifications. From the beginning, your complete satisfaction and enjoyment of your new space is our goal. A four season room and deck addition nearing completion in Newmarket. Deck addition includes sunken hot tub and an alcove to accommodate a gas grill. 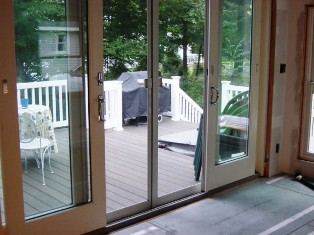 New Double Gliding Doors in four season room leading out to new deck addition. "Call (603) 659-4594 today to schedule your free consultation." 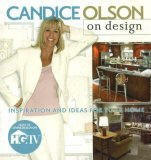 Visit a great resource for your kitchen design needs. 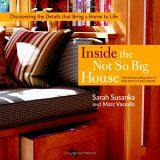 Get useful information on kitchen appliances, kitchen cabinets, kitchen remodeling and more. Visit the Homeowners' Toolbox now for Home and Garden, Home Office, and Building Construction goods and services to suit all styles and tastes. It's worth a peek inside to find Daily Specials, Coupons and Money-Saving Offers from recognized online merchants such as Mikasa, Domestications, igourmet, CambridgeSoundworks, inhabit, Knobs and Things, The Artful Home, Sur La Table, Smith and Hawkin, Wayside Gardens and many more.